People have a certain negative preconceived notion about some bugs. Most people don’t really trust those shifty insects with their wings and that menacing attitude. Of course, I’m referring to those insects that have the ability to cause us intense pain from those deranged stingers, like wasps! We know you don’t like wasps. We feel your pain.Wasps definitely carry around a negative connotation; you always see them buzzing around in groups of angry peers plotting how to get their next victim. Okay, so maybe I’m exaggerating a little – just a tad. But, did you know that other insects resemble wasps but they’re not actually mean? I’m referring to little creatures known as hoverflies. In those months when your house seems to be swarmed with intimidating bugs, it’s important to understand that there are differences between wasps and hoverflies. So, what exactly are wasps? Well then, what are hoverflies? They look so similar… Are there any differences in their appearance? I have a big and brooding nest of some kind outside, is it wasps or hoverflies? Wasps are annoying, but do we benefit from them? I don’t want really to deal with wasps OR hoverflies! How can I get rid of them? Wasps are insects that belong to the order Hymenoptera. While they are commonly confused with bees, they are not part of the bee family. 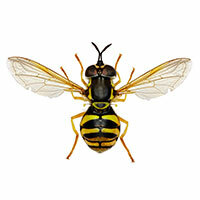 In fact, hoverflies and wasps stem from two entirely different orders in the animal kingdom. Definitely! While they are often confused for one another, there are some noticeable differences in the appearances. It may seem pretty clear that insects need a way to protect themselves. They have evolved from their ancestors to live in today’s world with today’s stresses. That said, the wasp and hoverfly have different defense mechanisms. 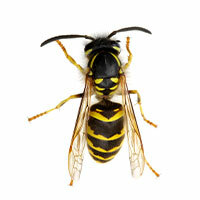 Wasps have stingers, and many people will probably back that up with personal experience. Compared to other stinging insects that only produce one sting, wasps do not necessarily die after that one sting. The stinger is usually not left in the attack site, but there is venom present. While regenerating that venom does take time, the wasp can sting without dying as long as the stinger stays intact. Hoverflies, however, do not sting. They are indeed harmless. Remember how their bodies appear with similar colors to the wasp? They’ve evolved to defend themselves with Batesian mimicry. These ladies and gents have adapted those bright yellow bands to alert potential predators that they mean business. For example, if a bird is approaching a hoverfly and he sees that wasp-like appearance, he’s probably not going to bother the fly. Hoverflies use that mimicry to their advantage to survive. The nesting may not be a dead giveaway as to what kind of pest you’re dealing with. We’ll address both types of nest though. Wasps live in nests made from chewed wood which has a distinctive paper-y look. Wasps love to build their nests in locations such as behind shutters, porch ceilings, and roof eaves. The size of the nest can be pretty large, like the size of a basketball; the nest can contain thousands of wasps. Hoverflies prefer to take shelter in compost heaps or old trees. The hoverfly eats different courses throughout the lifecycle. The larvae eat pest aphids on crops. The adults, however, usually feed on nectar and pollen. Wasps eat a variety of meals. Both adults and larvae are known to be on an omnivorous diet. They consume fallen fruits, other insects, and even nectar. In life, sometimes you have to just take the good with the bad.Wasps DO have a bad rep – that stinger – but it isn’t all bad. We just talked about how wasps like to grub on other insects. You can use that to your advantage! Instead of spending money on intense poisons to keep the other pests at bay, just let the wasps eat. While it may seem a little morbid, some wasps actually carry insects like caterpillars back to the nest to feed their growing young. They’re taking care of those babies and you’ve got crop leaves without those frustrating tiny holes! Hoverflies help us out too! From the name, we can incur that these flies are the best at hovering. Their unique design allows them to be excellent pollinators. They’re flying about searching for their own dinner and pollinating flowers and plants all over the place. Hoverflies use their distinct hovering ability to attract mates as well as to pollinate. Hoverflies are also a natural help to the gardener. Again, you don’t need to go out and purchase those toxic chemicals, because these guys are ready to control your pest population for you. The hoverfly larvae are hungry and ready to consume those aphids! If you’re absolutely sure that the nuisances outweigh the benefits, there’s a ton of different ways to get rid of both groups.We can certainly appreciate your desire for an insect free zone. Since there’s so many, I’m just going to leave you a couple of links to check out. If that doesn’t strike your fancy, you could purchase a wasp spray like this from Amazon. Hoverflies can also be shooed away! Give this spra﻿y a shot. You could try and catch them. So in conclusion, wasps and hoverflies are two totally different insects with totally different appearances, lifestyle choices, and defense mechanisms. We’ve covered some important differences between these two bugs, but we’d love to know what you think! 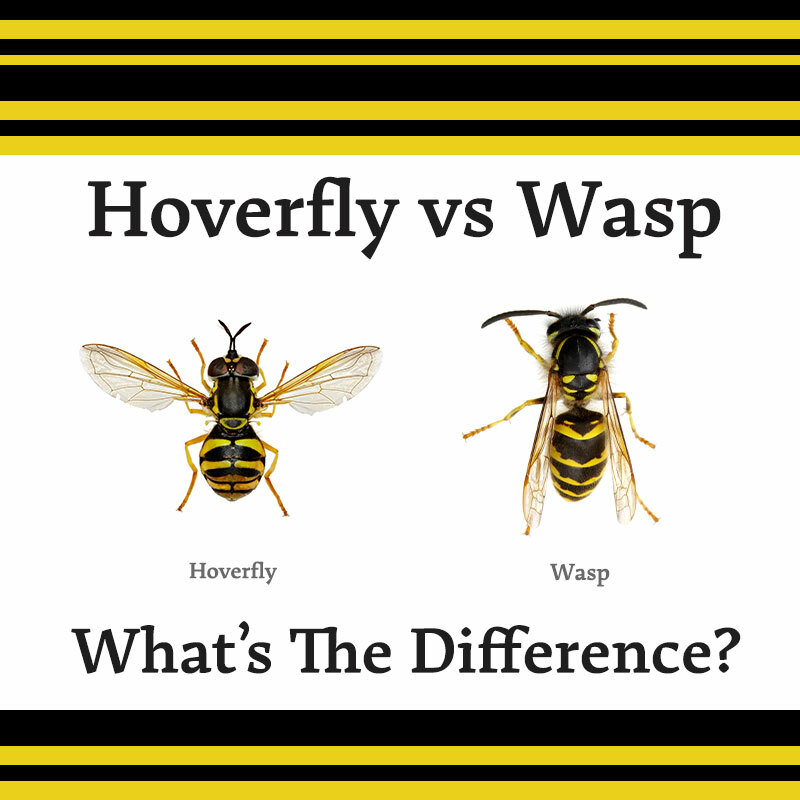 If you are experiencing issues with wasps or hoverflies, we encourage you to take notice of the differences between them and act accordingly. Bottom line: wasps have stingers with venom – hoverflies do not! A small bee like insect has taken over a mouse hole in the ground , loads flying in and out of it . Don’t know what they are !! !